An initial analysis of the Census municipal population estimates released recently confirms that the trend back to walkable urbanism is continuing. 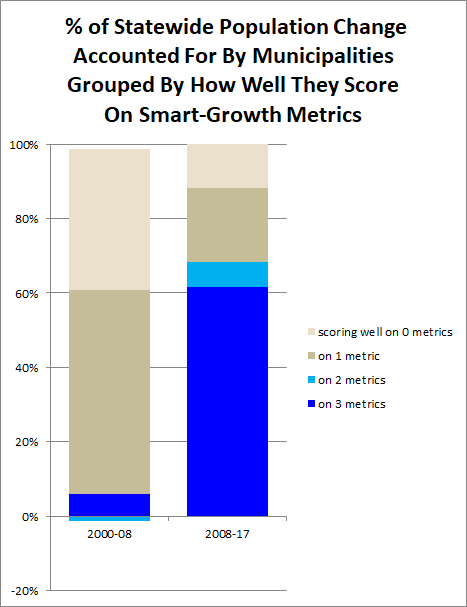 An analysis of municipal population changes from 2016 to 2017 against New Jersey Future’s three “smart-growth metrics” — net activity density, presence of a mixed-use “center,” and local street network density — show that as a group, the 124 municipalities that score well on all three metrics grew faster than did the state overall, growing by 0.5 percent compared to 0.3 percent for the state. These municipalities have accounted for 61.5 percent of statewide population growth from 2008 to 2017, after having accounted for only 6.1 percent of growth from 2000 to 2008. 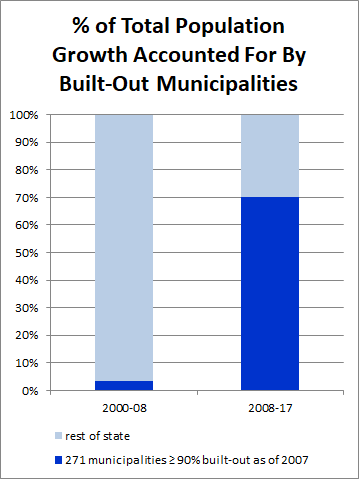 In contrast, municipalities not scoring well on any of the metrics saw their share of growth decline from 38.8 percent for the 2000-2008 period to just 11.9 percent for 2008-2017. 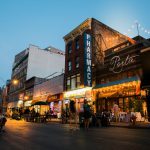 The renewed interest in these places is being fueled by the Millennial generation, who, based on New Jersey Future’s demographic analysis last year, evidenced a pronounced preference for compact, walkable places. 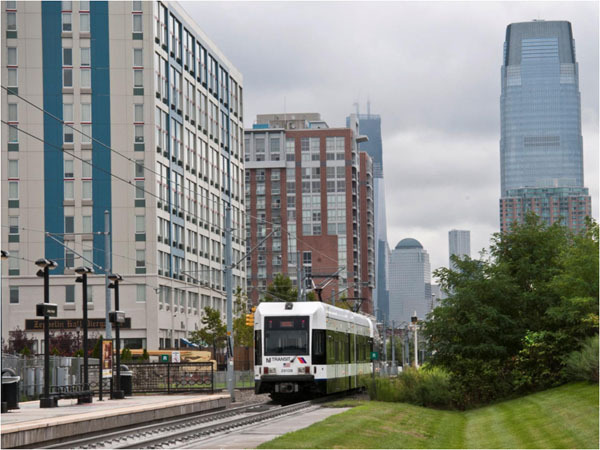 As Millennials have entered young adulthood and moved out on their own, they have gravitated toward the state’s cities, smaller downtowns, and older, walkable suburbs. Much of this growth has been happening as redevelopment in already-built places. The 270 municipalities that were at least 90 percent built-out as of 2007 (meaning they had developed at least 90 percent of their total supply of developable land) accounted for 70.1 percent of statewide population growth from 2008 to 2017, compared to a mere 3.6 percent from 2000 to 2008. 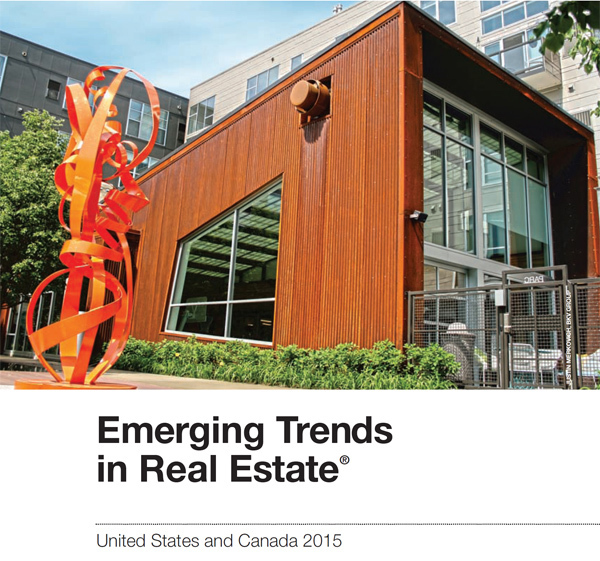 Redevelopment has become the new normal. 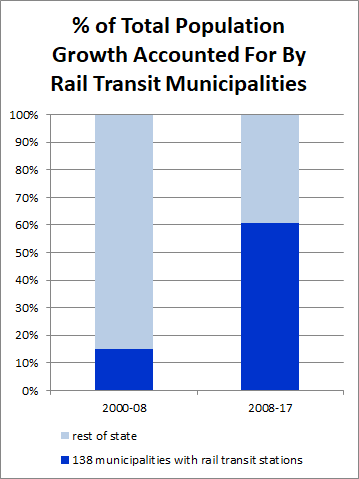 Many of the fastest-growing municipalities so far this decade (2010 to 2017) are places that actually lost population in at least one decade between 1970 and 2010, a period when suburban sprawl and urban disinvestment were at their peak, so the recent turnaround is a remarkable reversal of the broader post-WWII pattern of suburbanization. 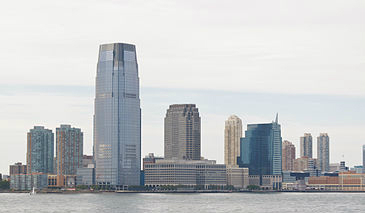 These revitalizing municipalities include (in descending order of population): Jersey City, Union City, Bayonne, Hoboken, West New York, Bloomfield, Kearny, Fort Lee, Garfield, Princeton, Rahway, Englewood, Cliffside Park, Cranford, Carteret, Lyndhurst, Elmwood Park, Harrison, South Orange, Clark, Weehawken, Fairview, Metuchen, New Providence, Woodland Park, Edgewater, East Rutherford, Wood-Ridge, Kenilworth, Raritan, Fanwood, Allendale, Northvale, and Englishtown. The challenge for these places is how to accommodate the new residents who are seeking the live-work-play environments they offer.